Some 10 years ago Tom Ford dominated the fashion world, at his apex when he was the creative director of both Gucci and Yves Saint Laurent. Every now and then he would produce an absolutely iconic work. A garment for the Gucci 2013 SS collection from which this fabric eventually derived was one of them. At this time we didn’t have the vast banks and libraries of digital images that are now at out fingertips. When this collection came out, we took glimpses of the garments here and there and waited for them to turn up in detail in the fashion magazines. I bought a lot of magazines once these collections started turning into editorials because I was fascinated with this work. 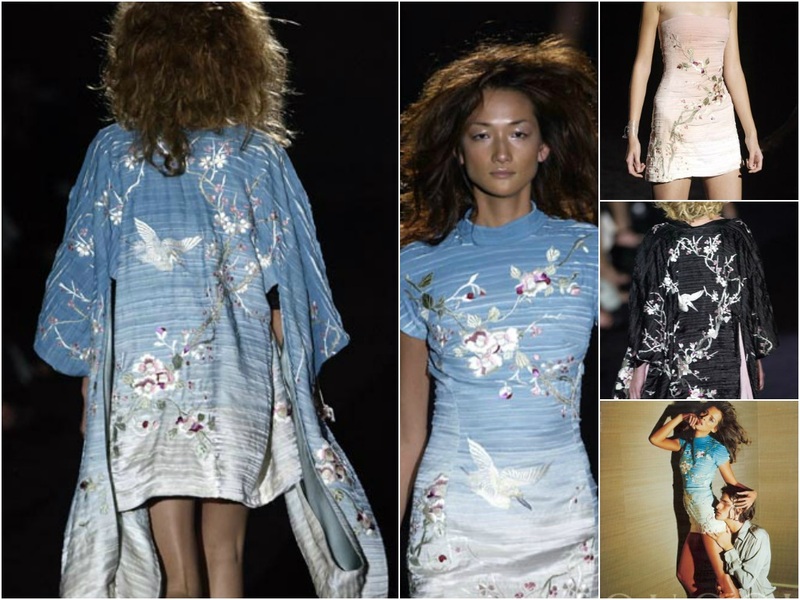 Here are the catwalk garments – a couple of robes and a couple of dresses. It is the technique that is so magnificent. The garments start with hand painted strips of silk, unfinished raw edges, which are laid piece by piece to achieve an ombre effect. On top of this, the most exquisite Japanese textile iconography, cranes and cherry blossoms in particular, are recreated using authentic Japanese embroidery techniques. You can see the blue, pink and black colourways here. That’s the model Carmen Kass in the right corner spearheading the advertising campaign. 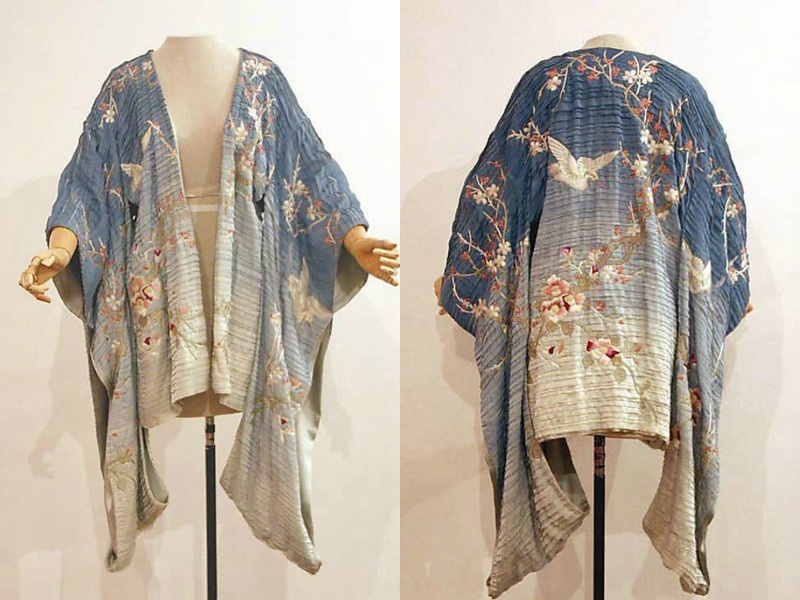 A kimono robe now resides in the Met Museum. The images are from the Met archive. 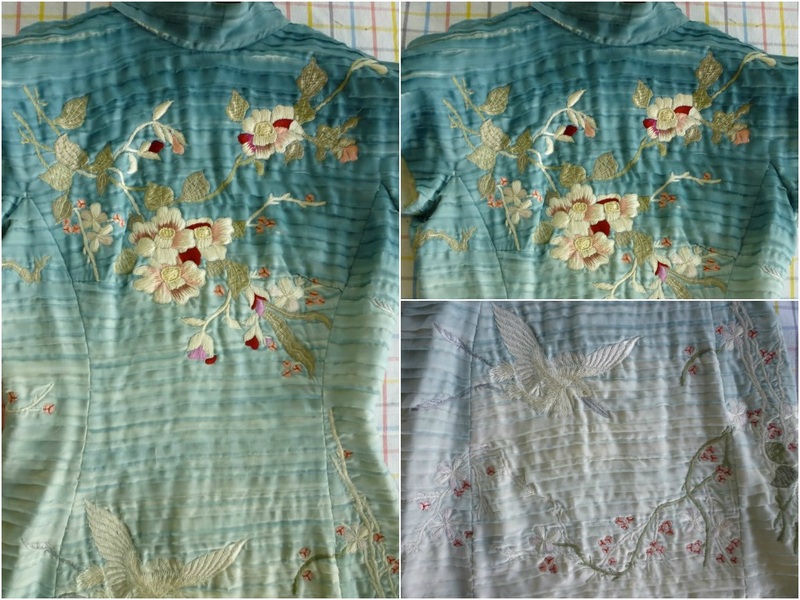 These close-up images show the embroidery detail. (I’ll be back with image credits, can’t find them just this minute). 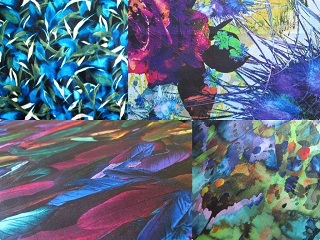 So then we can see how the design for this particular fabric was arrived at. It’s the Gucci for the rest of us who could not ever accumulate such a piece. 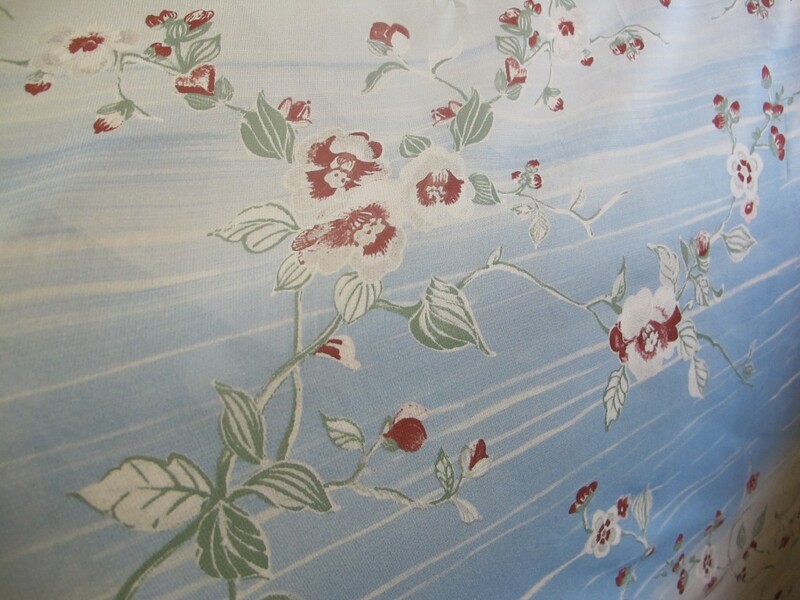 The fabric is a viscose fabric, it is 130cm and the length is 3.4 metres. I also have a black piece which I am keeping. 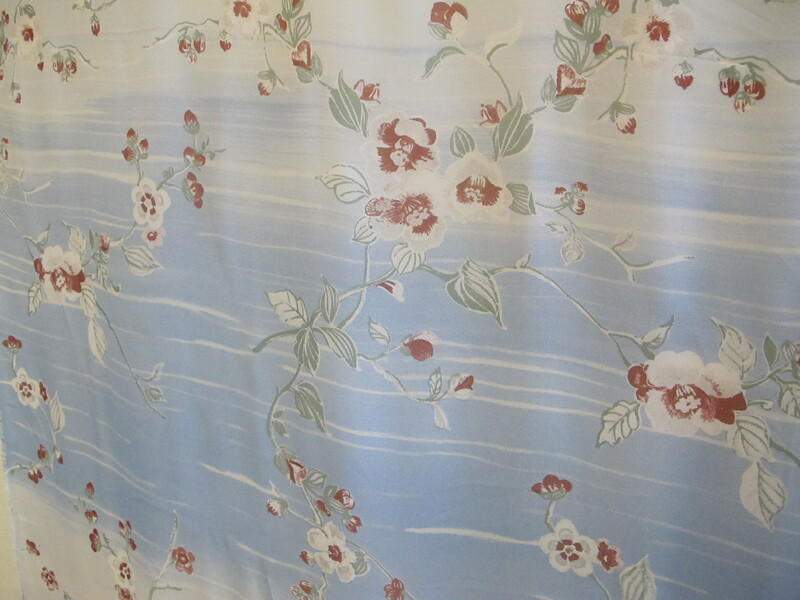 I have test washed this and prefer the post-wash fabric. Viscose can crease and I prefer the fabric behaviour after a gentle wash. (I will be placing a layer or even two of plain black silk georgette under my fabric). Bear in mind it will shrink with a wash. Please do test first yourself though as you may have different preferences. 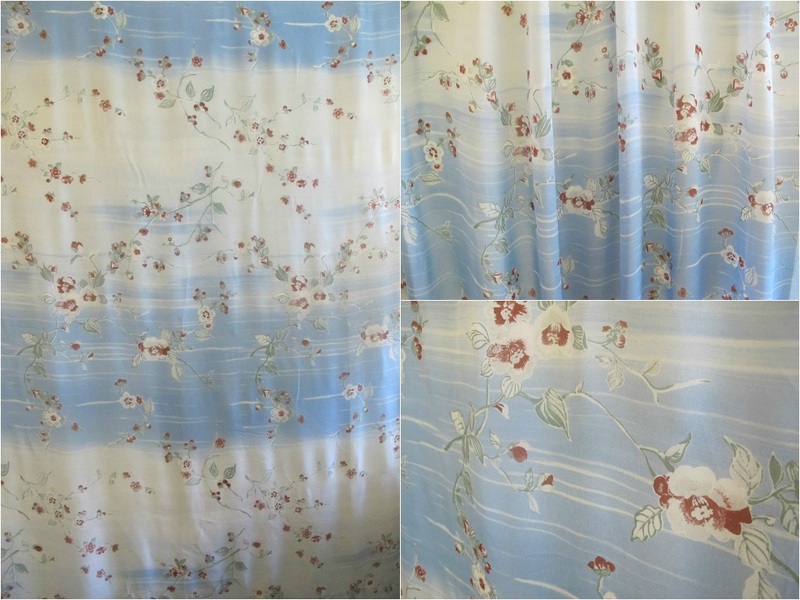 The price for the fabric is $25 a metre/$85 for the piece (130cm x 3.4 metres).